World Time Attack Challenge: A Quick Summary! – Garage Dusty Exciting Car Team! World Time Attack Challenge: A Quick Summary! We got the weekend started right by catching this to the airport… Stupid? Yeah. Hilarious? Yeah, that too. 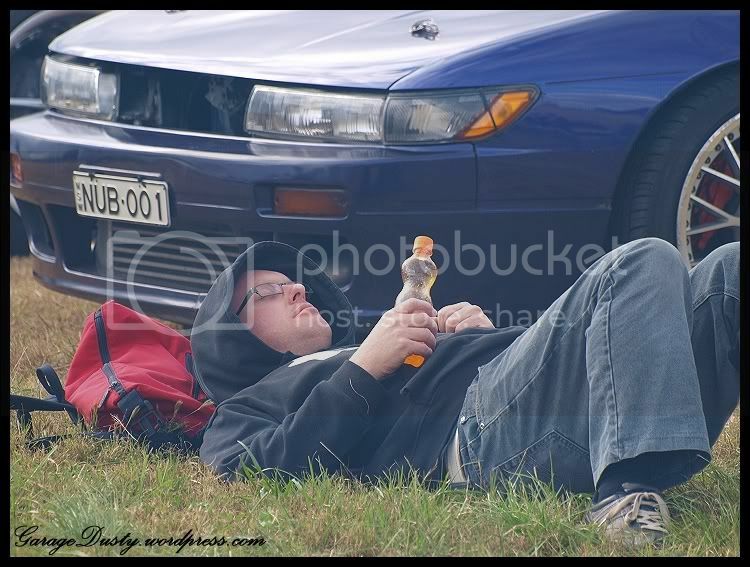 But the weekend was about cars. Cars like the stunning PanSpeed RX7. Takes a good photo, hey? There was drift too! 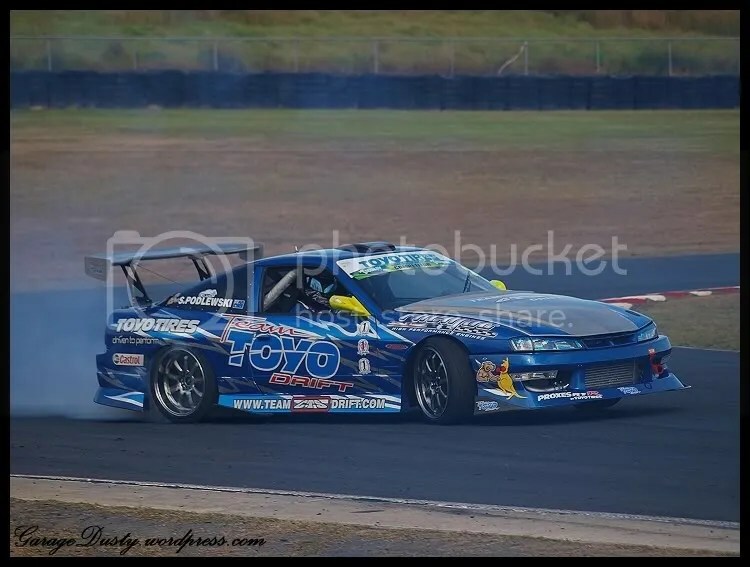 This is Josh Young’s JZX90. Why aren’t there more of these around? 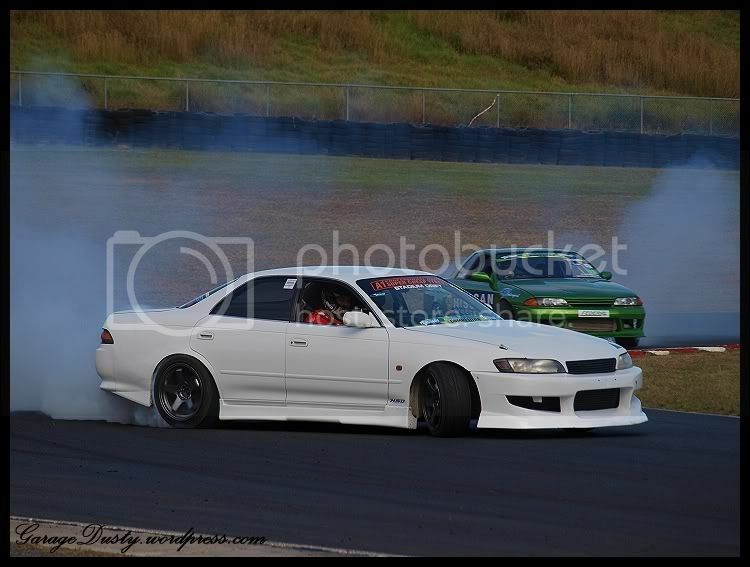 They look better modified than JZX100s (yeah, I said it) and they’re cheap. It wasn’t all pro race cars in the main program either. 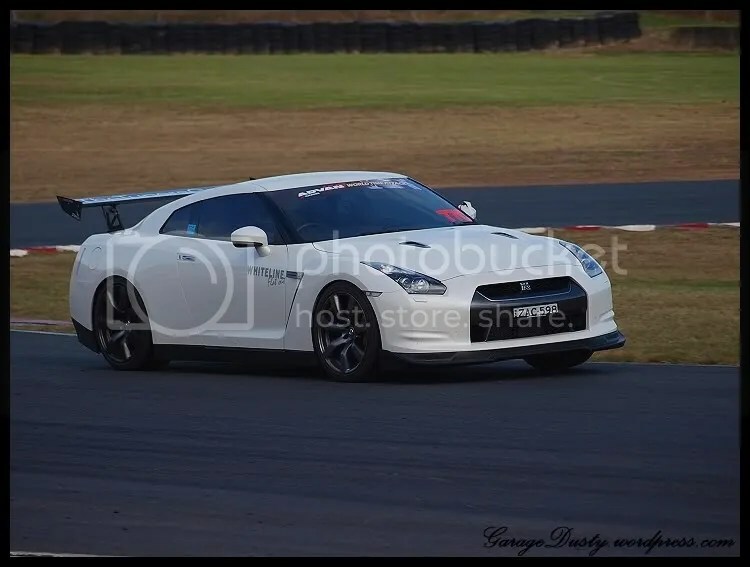 This R35 in the Clubsprint class looked great and was a solid performer, running 1:45s. 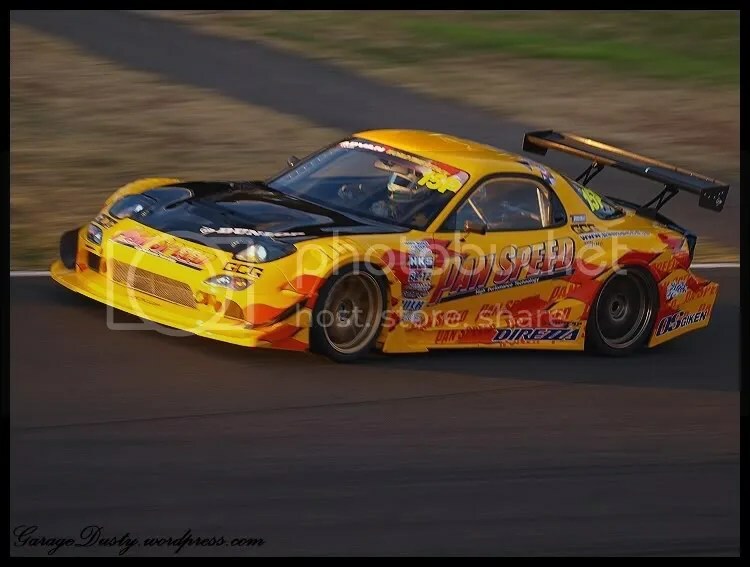 The revolving door at Team CTS now sees Simon Podlewski behind the wheel of the Sileighty. 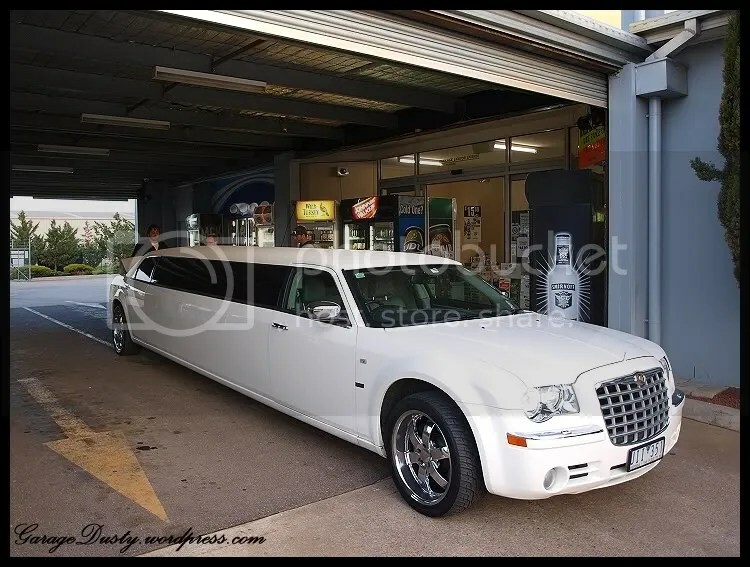 Doing a nice job, too, although you have to wonder with a car like this how much is the car and how much is the driver. All the action (along with Friday night’s activities in Parramatta) took a toll on some of the members of our little group… Poor Dave. He woke himself up later when he dropped his Fanta on himself. This is the best photo I’ve ever taken. It may be the best photo I’ll ever take. 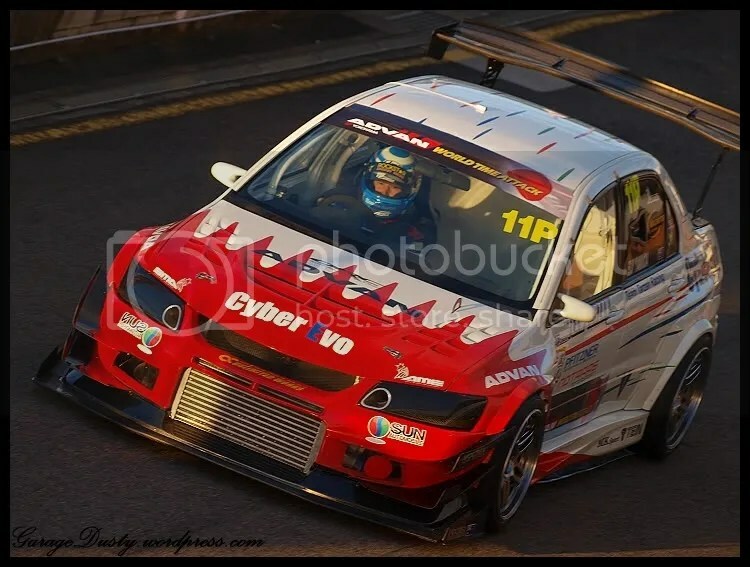 No summary is complete without a photo of the fastest car of the weekend and the winner of the World Time Attack Challenge for 2010 – Tarzan Yamada and the Sun Cyber Evo! 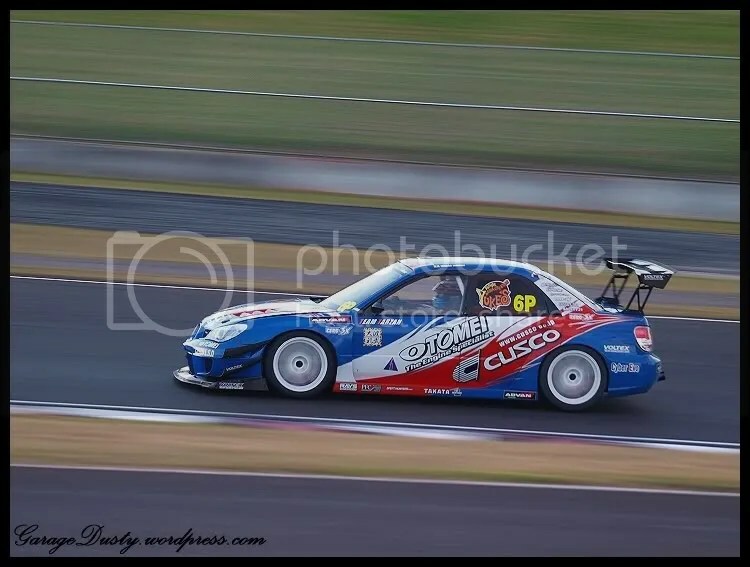 Tarzan destroyed the V8 Supercar lap record in the Evo, posting a 1:30.58. The V8 record (set, of course, using full slicks as opposed to the R-Spec road legal tyres on the Evo) is a 1:31.7. There was quite a bit of celebrating from our group when that record fell! 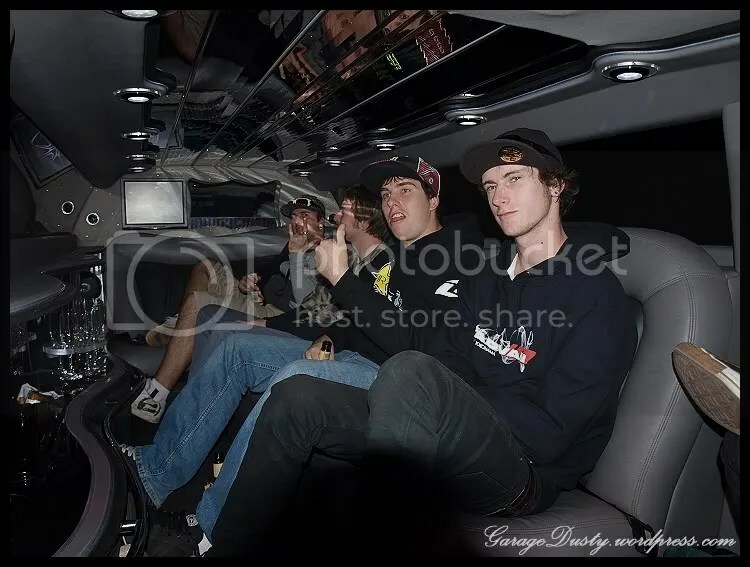 And here, taken a couple of hours ago, is a shot of the boys enjoying the limo ride home after a pretty damn successful weekend. Here’s to next year! Sorry for such a brief post tonight, but I’m a bit wiped out. I’ll be back tomorrow with the best shots I took of the Pro Class competitors. ← Garage Dusty: Heading to Superlap!